First Certified Nature Explore Classroom in the state of Virginia. Moss-Nuckols Elementary School is located in rural central Virginia. We are one of four Elementary schools in our county, Louisa, VA. Our school is the only school in our district with an Autism program. 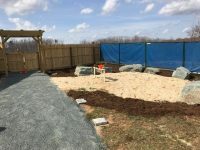 The Moss-Nuckols Outdoor Classroom gives all of our students a safe space to explore their senses with nature while remaining safe, as the area is fully enclosed. Our school is a hands-on, inclusive school that thrives on using new ideas to connect and inspire all learners. 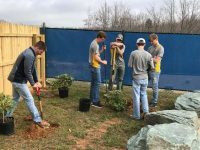 The Outdoor Classroom was an idea that was discussed between several teachers and our Administration. Upon trying to complete our courtyard as an Outdoor Classroom through various D.I.Y. projects, it became clear if we wanted to do this project right we needed more. After much research, we found The Nature Explore group and we were hooked. The fact that Nature Explore is research-based and had the entire package from design, faculty training, and products to complete our space, this became the clear choice. 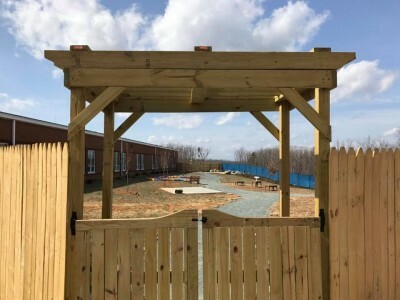 The William A. Cooke foundation funded Phase I of the Outdoor Classroom grant that we wrote. This included the on-site design visit and faculty training. The Phase II portion of the grant was also funded by The William A. Cooke foundation and the project was ready to take off. We would also like to thank the following donors: Dominion, Spring Hill Nursery, Better Living and Foxwood. 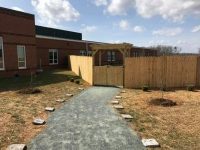 One of our teachers connected us to a wonderful local construction company that was willing to help us fully implement the construction portion of the project. Faulconer Construction Company has been an instrumental help to this process and we would not have moved the first piece of dirt without them. 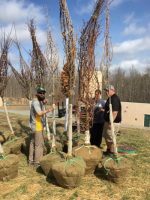 We have also had many other community members help us such as Luck Stone, ITAC, Virginia Vermiculite and Orange Madison Co-Op/Southern States of Louisa. 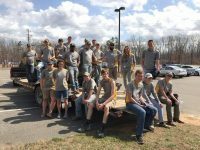 Louisa County High School Turf Management/Landscaping students, led by instructor Logan Horne helped plant the shrubs, bushes and trees. This truly has been a community project and we are forever grateful to these amazing benefactors.